The ad sales revenue of Sina Weibo increased 125% compared with the year-earlier period. They will also publish ads API soon. 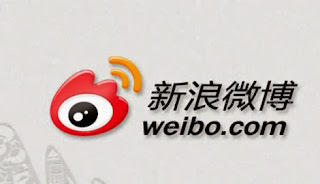 Sina recently published the performance reporting of Sina Weibo in the third quarter. This report said that the total revenue of Sina Weibo in the third quarter was 53.4 million USD, and this breakdown is composed of 43.7 million USD ad revenue and 9.7 million USD services revenue. Their ad revenue increased 125% compared with the year-earlier period, and their service revenue increased 121%, but at the point of comparison with the last quarter, it can be said their service revenue was slight increase. This service revenue includes the revenue from Weibo Club and the sharing revenue from the apps or games developer, but as I said before, they have to enhance this area to industrialize more than now. But on the other hand, of course, the ad revenue is the one of important business for Sina Weibo. 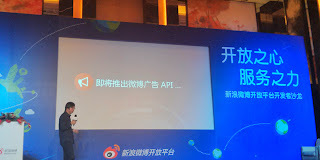 So they recently announced that they will publish the ad API of Sina Weibo soon. Their rival 'WeChat' already expressed that they would not like their user to use their platform as a marketing tool. So from this point of view, to become a social marketing platform may be a one of good method for the differentiation with them.